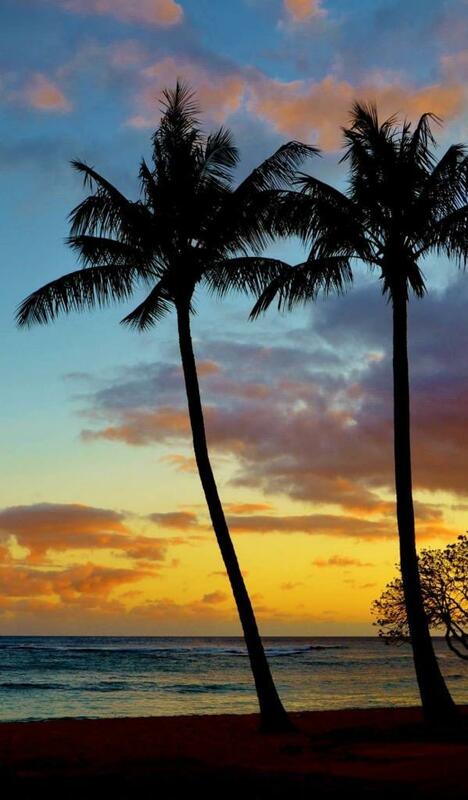 Mahalo to James Grenz for sharing this photo with us for Aloha Friday Photos. 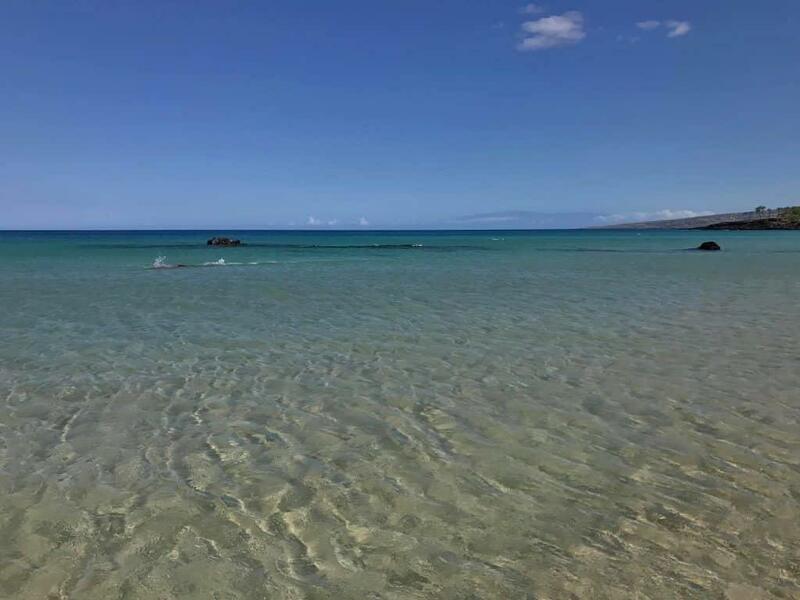 He took this photo from Hapuna Beach on the Big Island. We love this view from the water’s edge that almost makes us feel like we have our feet in the sand and water. As James shared this photo, he noted that Maui is visible off in the distance. Can you see it? It’s Thanksgiving week in America and time once again to say mahalo to all our readers. If you will be in Waikiki for this Thanksgiving holiday, check out our Waikiki Thanksgiving guide with suggestions for Thanksgiving brunches, dinners and special holiday weekend events. The post Happy Thanksgiving 2017! appeared first on Go Visit Hawaii. 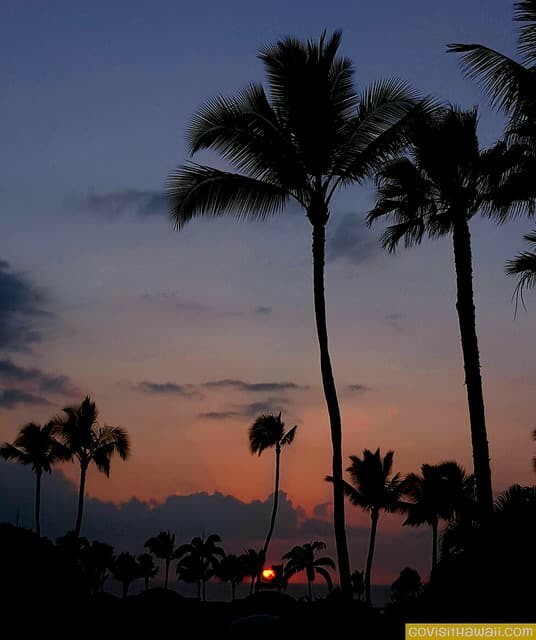 The post Aloha Friday Photo: Two palm sunset appeared first on Go Visit Hawaii. – Hawaiian Airlines and Hilton Hotels have partnered for a 4-night Hawaii vacation sweepstakes called Pick Your Paradise. Enter here through November 30, 2017. You must be a legal resident of the USA to enter. 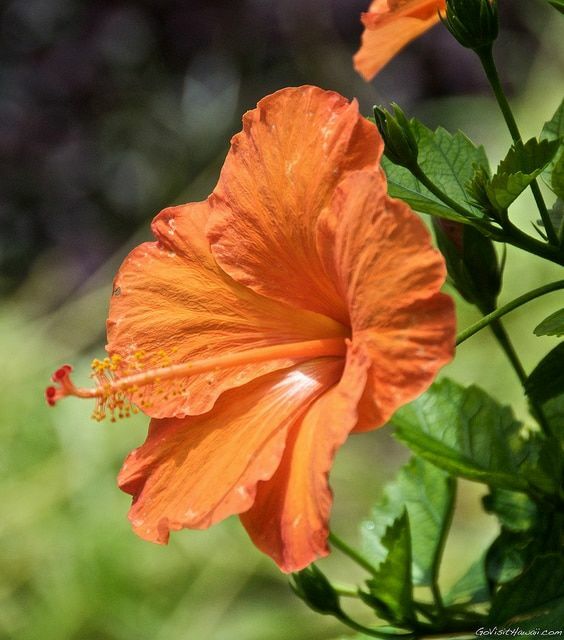 Mahalo to Wendy Kane of Fayetteville, Arkansas for sharing this photo with us for Aloha Friday Photos. 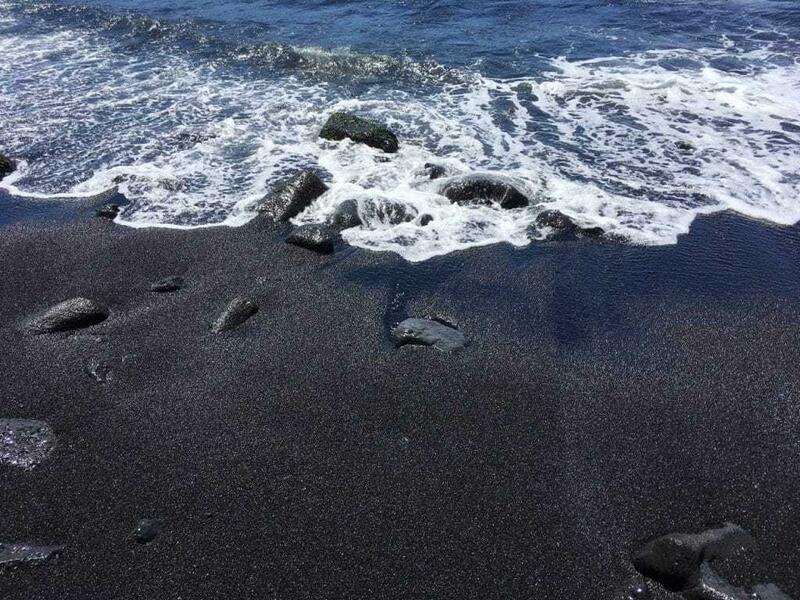 This is a great shot of the black sand of Punalu’u Beach on the southern side of Hawaii, the Big Island. The wet sand at the water’s edge seems luminous despite being so dark. It’s an amazing sight you almost have to see for yourself to believe.